I always loved the Swoon pattern, but it took Katy organizing a Swoon along to get me to actually find my pattern and get sewing! I decided to use the original Flea Market Fancy because I love the colors and thought it would look great in this pattern. I had fun pairing fabrics for each block and seeing each (huge!) 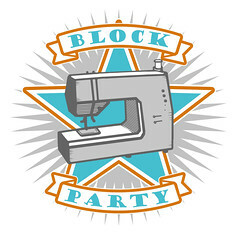 block come together. I got all the blocks finished, but then procrastinated getting the top finished because if I’m being honest… sashing? Not my favorite. Of course, once I stopped procrastinating and just started sewing, the top came together without a problem. 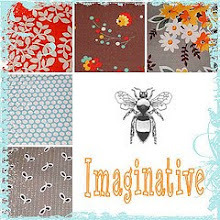 The Flea Market Fancy Legacy reprint is now arriving in shops, and is available at the following shops -- Fresh Squeezed Fabrics, Hawthorne Threads, The Quilted Castle, Fabricworm, Sew Modern, and Marmalade Fabrics. This entry was posted in Fabric, Posts about Quilts, Quilt Blocks and tagged bonnie and camille, denyse schmidt, flea market fancy, quilt, swoon pattern, swoon quilt. Bookmark the permalink. 30 Responses to oh swoon! It’s fun to see the Swoon FO popping up. Yours is beautiful! 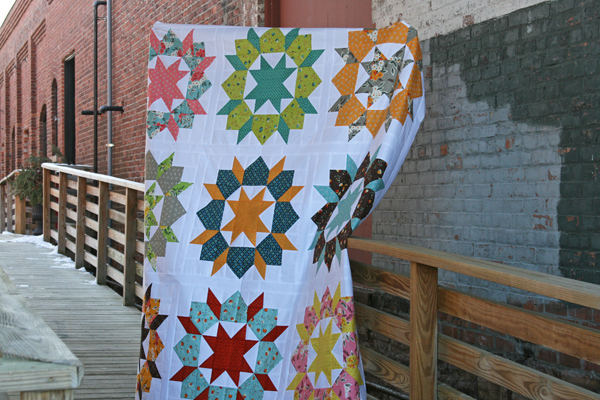 As for the quilting, you quilt so many of your quilts yourself. If I were you, I would consider it a treat to send it out for quilting especially if I were going to keep it for myself. Wow, this seriously takes my breath away. It’s so beautiful! Beautiful!! I’ve got to find that pattern – It’s not one I have seen before. Great Job!! I’m a swoon-aholic and just love yours! Gorgeous. I’ve got the pattern and the fabric…..now to get the courage to start on it! At least a little bit of blocks makes a large bit of quilt! Wish me luck. Beautiful. I am at the sashing stage with mine, now. I just want it finished. I have been working on it since last year. Gorgeous. Makes me want to try this block. Gorgeous! And I am totally with you. Swoon will be the biggest quilt I’ve finished so far, and therefore it will also be the first quilt I send out for quilting! I just…no, thanks! 🙂 Good on you for finishing yours–may just be the shot in the arm I need to woman up and muscle through the last 3 blocks! Beautiful!!! Is it paper pieced? Fantastic!! I’d send one this size to a longarmer, too. Hurray, it’s beautiful! You combined so many colors in a contrasting way, which I always enjoy. I love the swoon. The thought of finishing large blocks is very attractive to me as I am working on a scrap quilt with 3″ blocks right now. It is going to take me FOREVER to finish. If you hear of a Swoon-along, let me know. 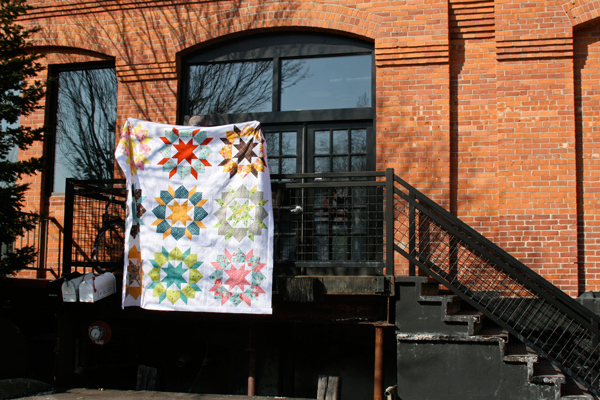 I would love to do this quilt. Well done, it is beautiful. It is beautiful! Great job on finishing up that top. 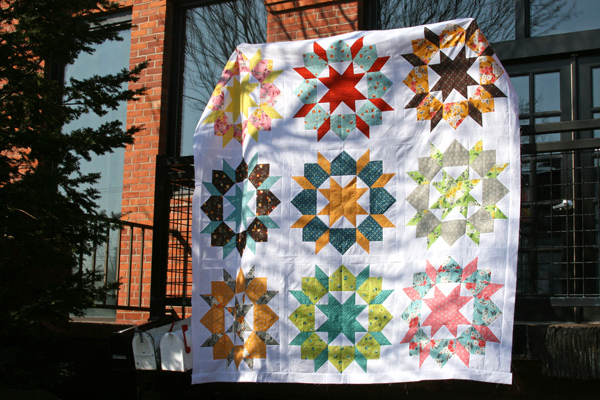 I have the pattern, but haven’t started making the quilt yet, I am waiting for the right color combinations to hit me. I love the rich colors that you used 🙂 I made mine, inspired by the swoon along also, in pastel colors.